Hawaiian POG Ice Naked 100 E-Liquid 60mL is a brand new twist on one of Naked 100's best selling flavors, now served on ice for all of your menthol fans out there. Naked 100 by The Schwartz E-Liquid creates a delicious blend of three fresh fruit flavors with this blend. You will enjoy a fresh burst of passion fruit, oranges and guava fruit, followed by an icy cool menthol finish that finishes it all off quite nicely. This company handcrafts each of their delicious Naked Juice from start to finish in a clean lab facility based out of Long Beach, California. They use only the finest and freshest ingredients available to create their spot on flavors that will leav you craving more after every puff. 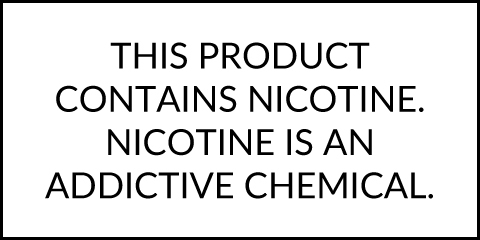 Pick up a bottle of Naked 100's Hawaiian POG Ice E-Liquid in 60mL sizes with your choice of strength ranging from 12mg down to nicotine free.